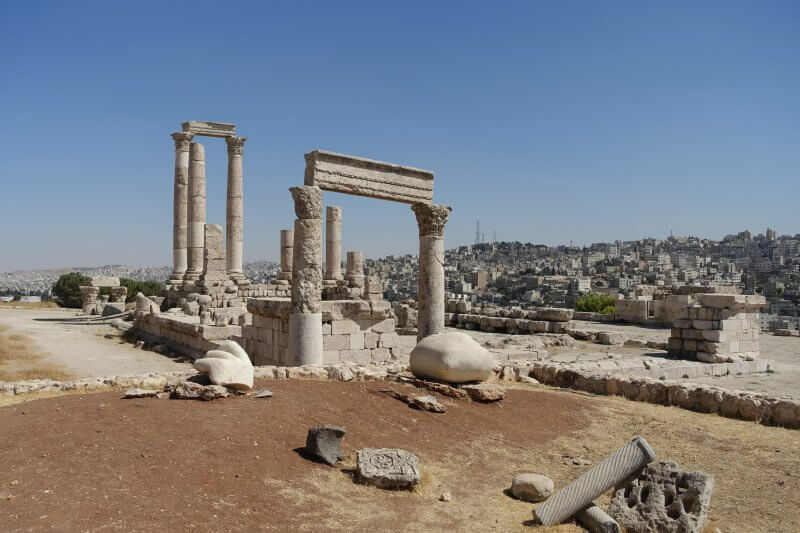 Amman, the bustling capital of Jordan with thousands of years of history. 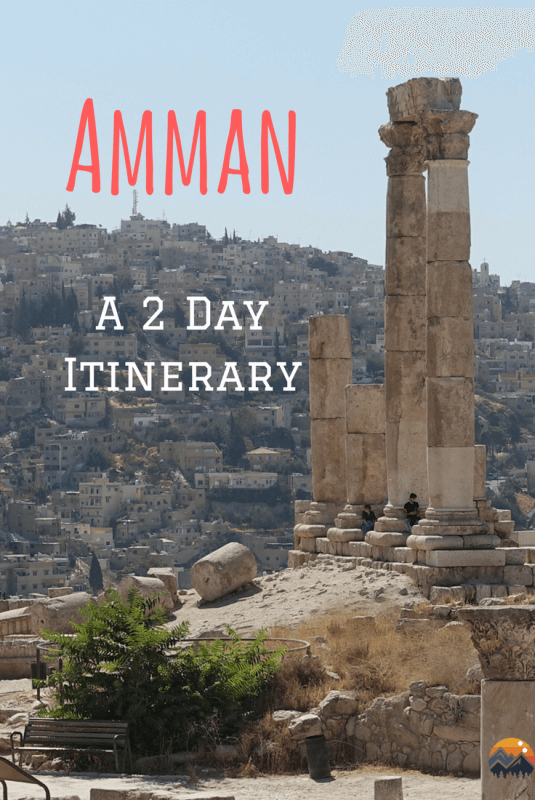 It is an amazing city with much to see and experience, but if you’re just passing through to the famed ruins of Petra, here’s how to make the most of 2 short days in Amman! 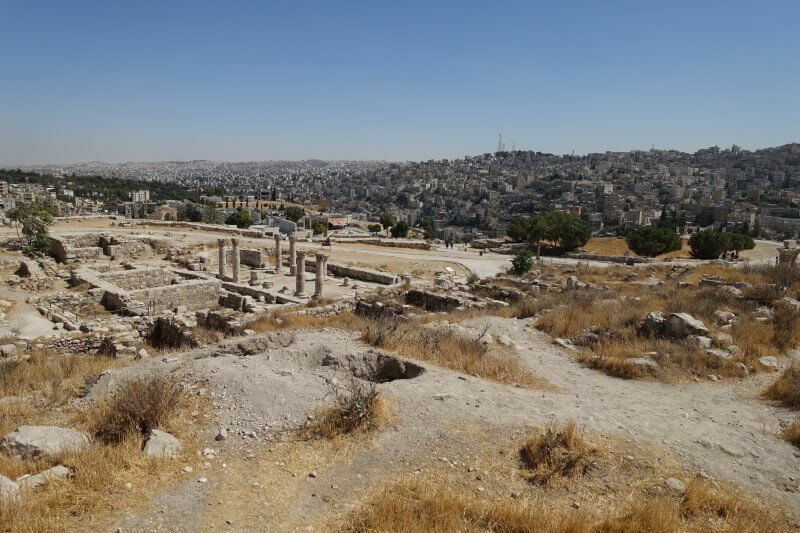 As my 2 week adventure in Jordan drew to a close I arrived at my final major stop, Amman. A little weary by then, the plan was to take it easy and do a couple of day trips. 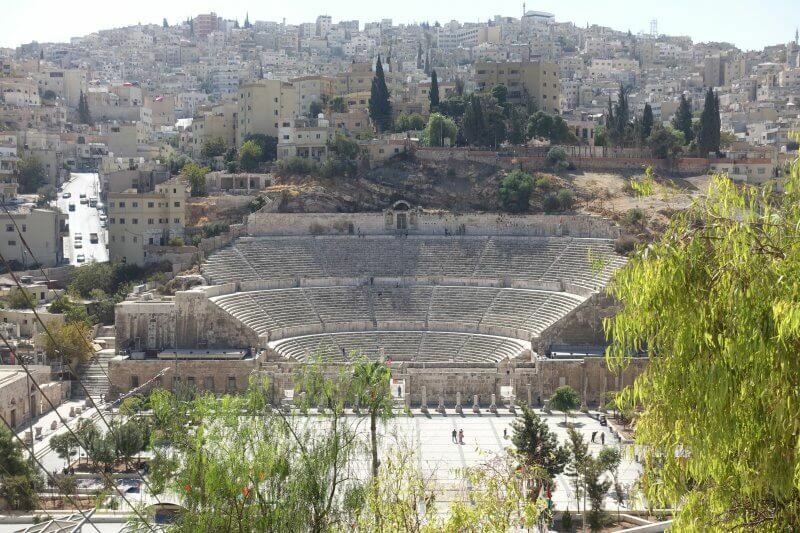 Here’re the highlights from Amman (excluding day trips), arranged nicely into a 2 day itinerary. I’ve tried to keep as much of it as possible to the order in which I visited but some have been slightly rearranged. I’m sure you’ll still have just as much fun! 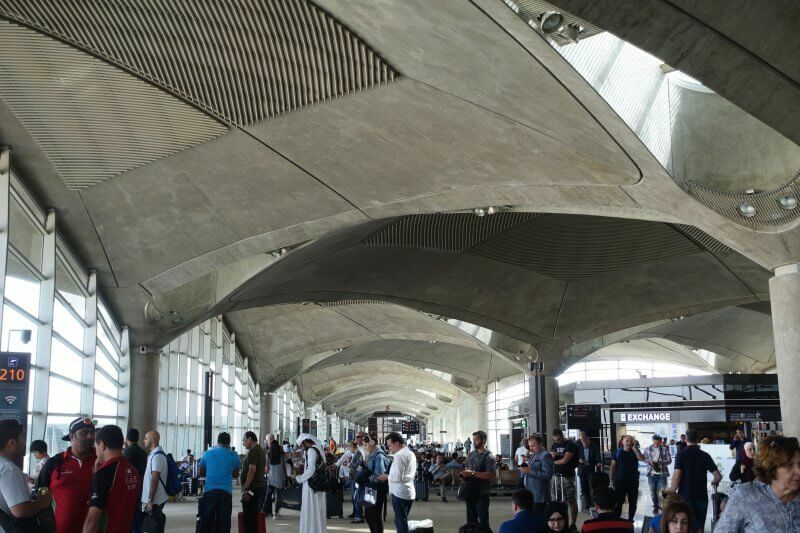 Day 0: Touchdown in Amman! Continuing from Karak, I arrived at the South Bus Station of Amman around dusk. Found the hostel (wouldn’t recommend so I won’t mention) and got to looking for some food. 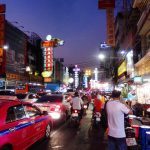 The city center was bustling with life, with lively crowds and vibrant food options. 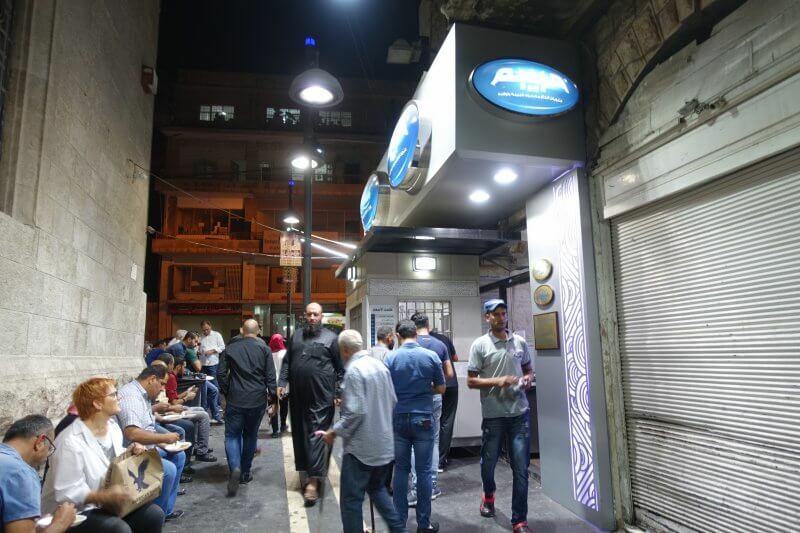 From the famous Hashem Restaurant (for falafel or vegetarian options) to the shawarma stalls offering middle eastern fast food to the bars and restaurants lining the streets, it’s not easy to go hungry here. Beware though of unscrupulous stalls that are always on the lookout for unsuspecting tourists – I paid too much for a cup of juice at one of the juice stands thinking that Amman is really expensive only to find out later I just got badly overcharged. It’s not always easy to identify a sneaky stall but it is a good idea to keep your guard up as overcharging of tourists is a common occurrence in Jordan. Nonetheless, stomach filled and happy! 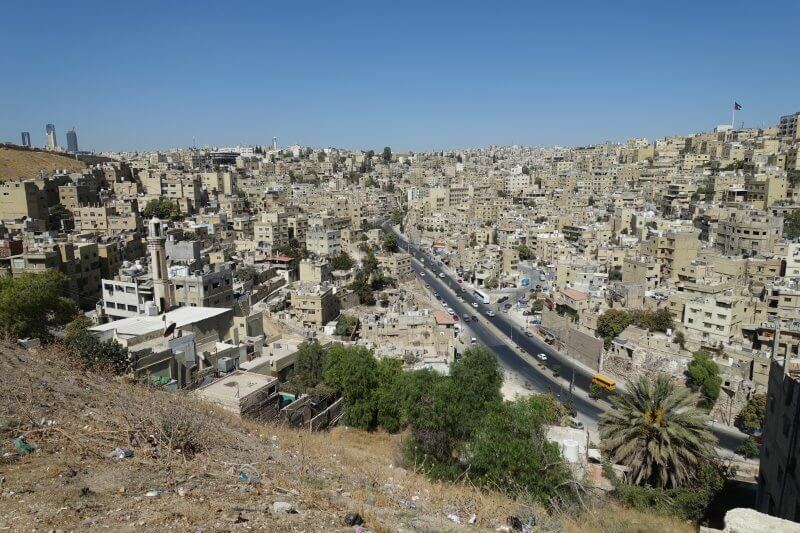 There are lots of hills in Amman. 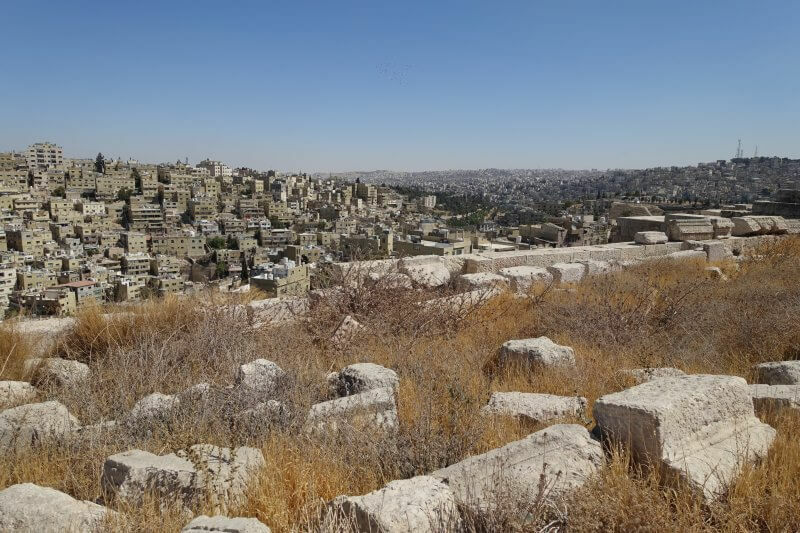 The citadel, probably the biggest draw in Amman, lies on top of the highest of them all, and getting to it (without a cab or tour bus) requires a little workout. So put on a pair of good shoes and hit the road! 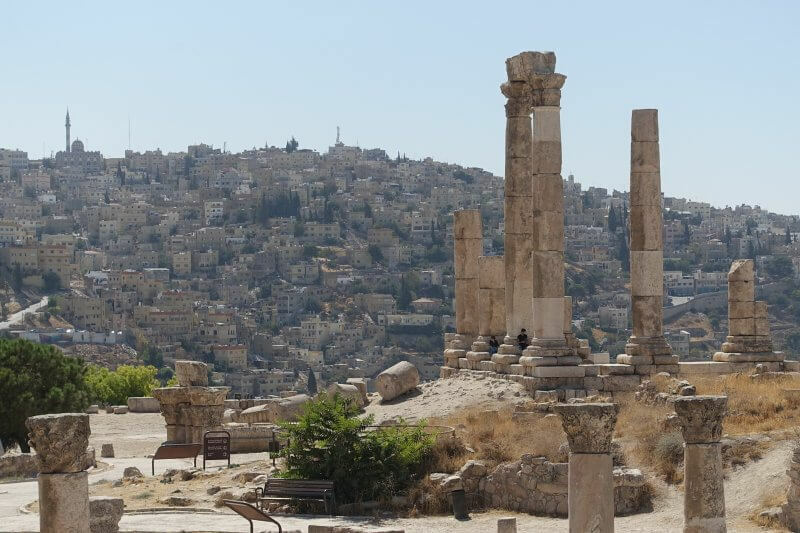 Right past the entrance, the towering ruins of the Temple of Hercules, against the backdrop of Amman’s neighborhoods. I think what’s really impressive is how different ages and empires all left their mark on this very place across millennia. 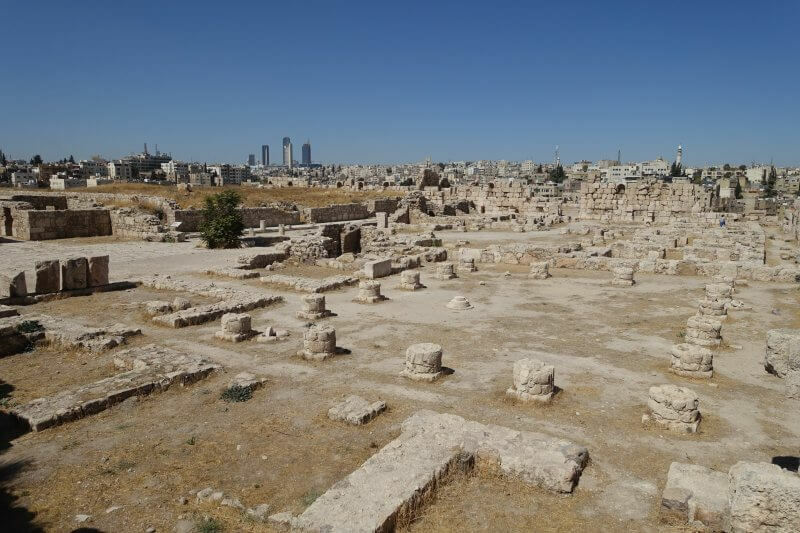 Apart from Roman, Byzantine and Umayyad ruins, there are traces of Bronze and Iron age activities here too. 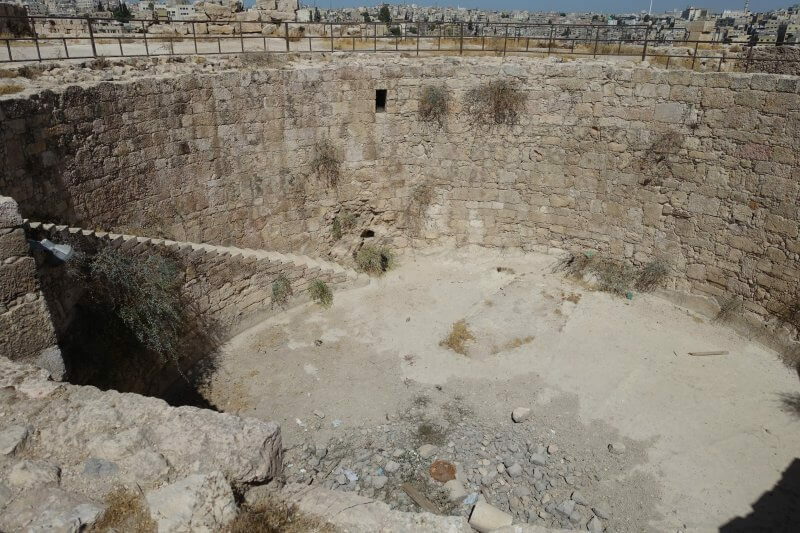 The huge Umayyad water cistern. Ruins across the citadel, with modern skyscrapers in the distance. 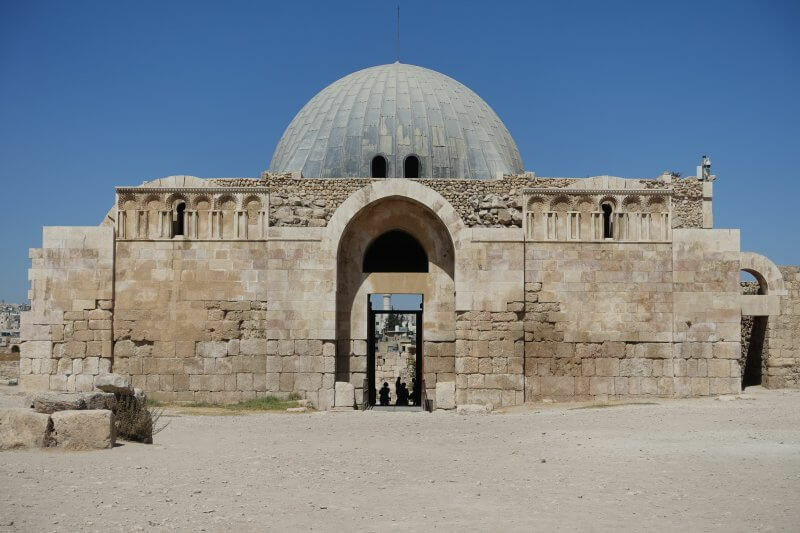 Entrance to the Umayyad Palace, partially restored. Beyond the entrance to the palace is a complex of rooms, mostly a pile of rubble now, but nonetheless fascinating. Must have looked royal with the columns lining the walkway. Looking a bit desolate from here. More views of the citadel over the city. 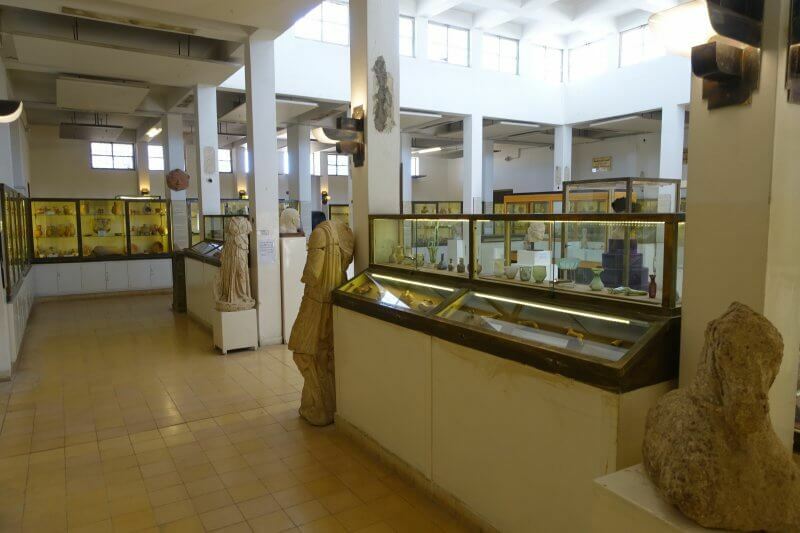 Another gem within the citadel is the Jordan Archaeological Museum. Though the museum is not large, the artefacts here, from all over Jordan, are amazing. 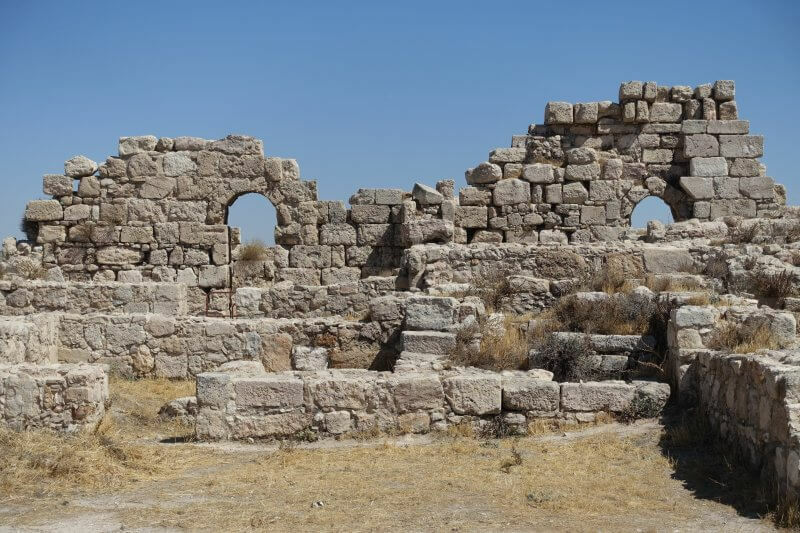 Perhaps unsurprising since Jordan has been inhabited for such a long time, dating back to the Palaeolithic Period. Outside the museum, back to Hercules Temple. And time for some Roman ruins. The large hand, seen above near the temple, had been identified as part of a Hercules statue that might have once stood over 12 meters tall. A reminder of the reach of the Roman empire, at an age without engines and planes. The huge remaining columns, after over a thousand years. After almost 2 hours exploring the citadel and archaeological museum,one of the last views provided a nice introduction to the next stop. 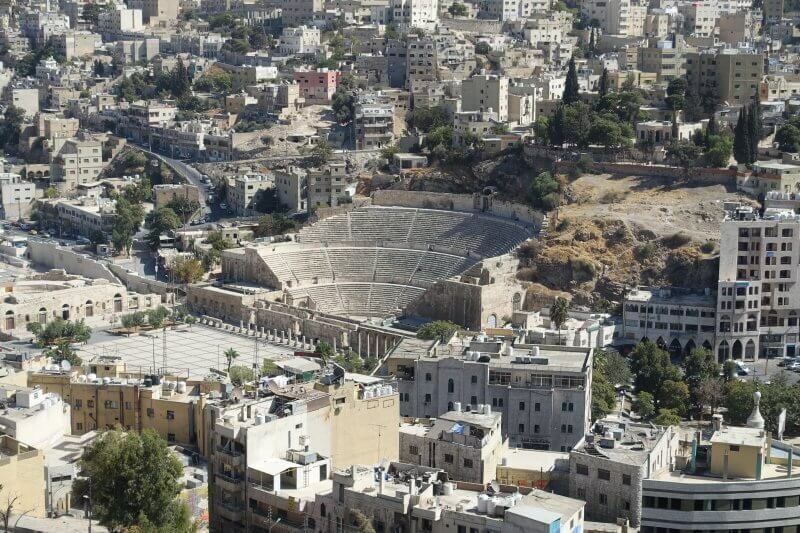 The Roman Theater, from Amman Citadel. 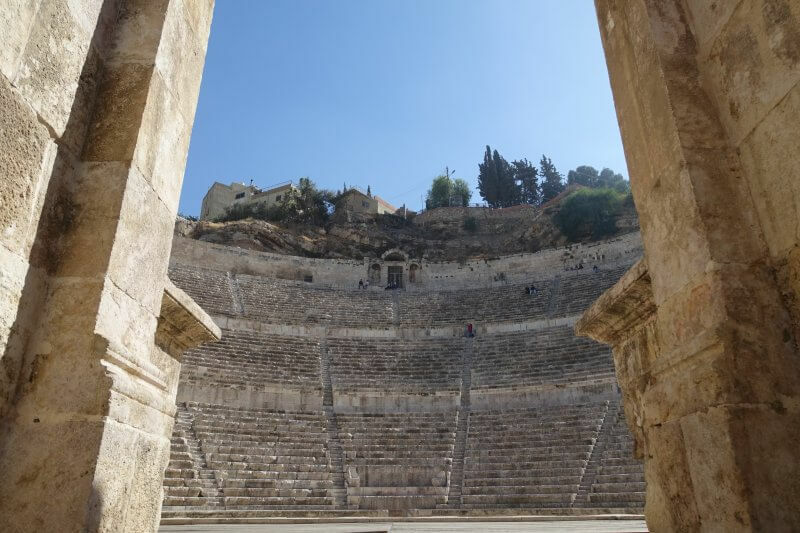 There is a ‘shortcut’ leading from the citadel to the Roman theater (and vice versa), a couple of stairs you could take to avoid winding all the way round the hill just to get down (or up). Halfway down the hill, another view of the Roman Theater. This is the upper stairs that will get you from midway up the hill to almost the entrance of the Citadel. 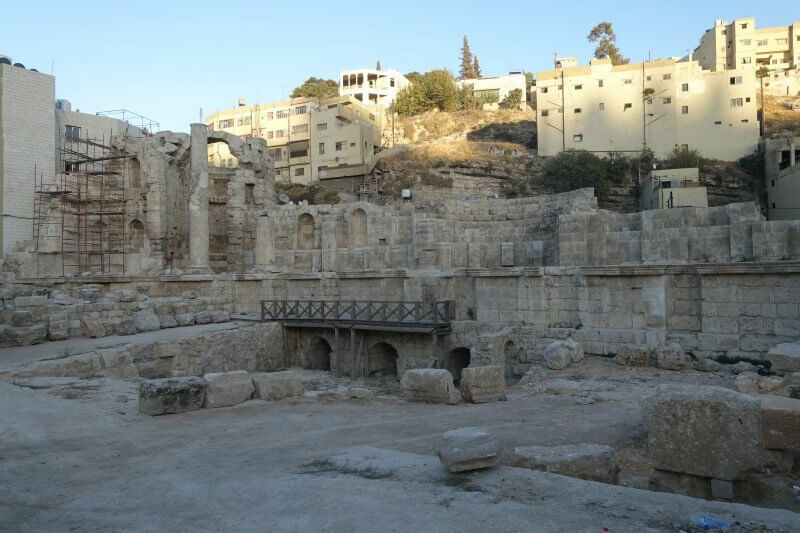 This is at street level, facing the Roman theater. Take the open stairs beside this shop and you’ll appear at the mid level in the previous picture, with a pavilion not far from the stairs offering that view of the Roman theater. 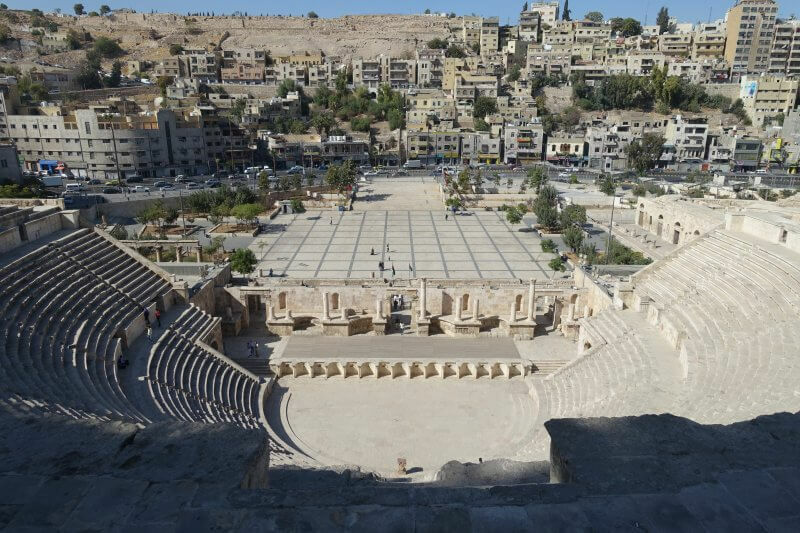 The Roman Theater (or Roman Amphitheater) is another of the impressive sights in Amman. More than just a historical attraction, it is a communal space where locals gather, youth play, and concerts are held. As with the Eiffel Tower, perhaps the best views of it are way beyond the Roman Theater, so here’s just one shot from within. From the top of the Roman Theater, looking over to the citadel on the opposite hill. From the exit, turn left and head along the road for approximately 400 meters, where you’ll find a Roman public fountain under restoration. The Nymphaeum, while not open to public, can be viewed from the outside. 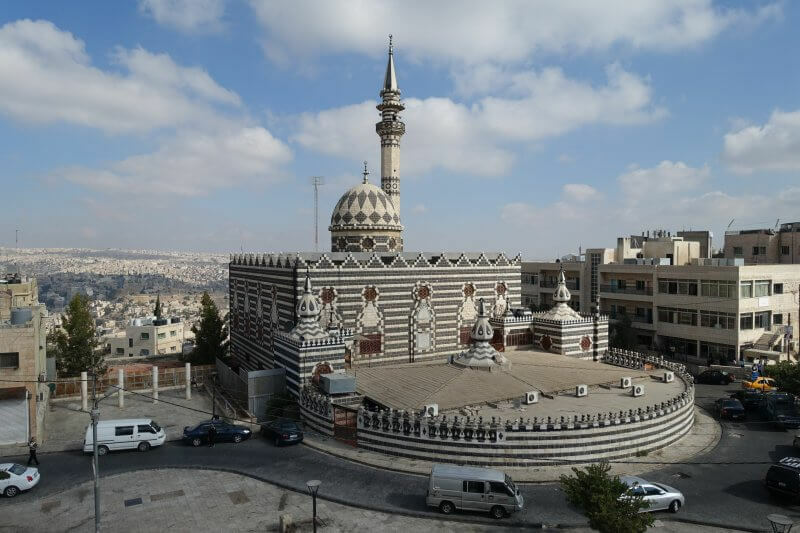 Not far from the Nymphaeum is one of prominent mosques in Downtown Amman, the Grand Al-Husseini Mosque. 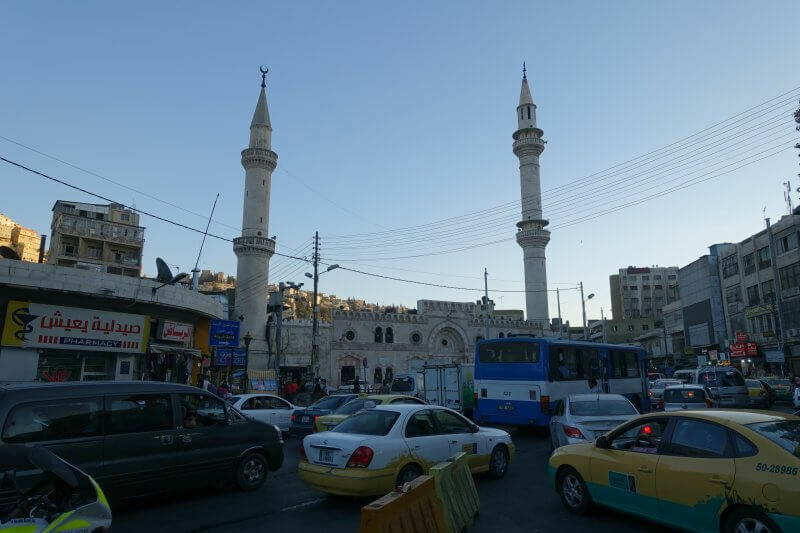 The surrounding areas are among the busiest in Downtown Amman too. 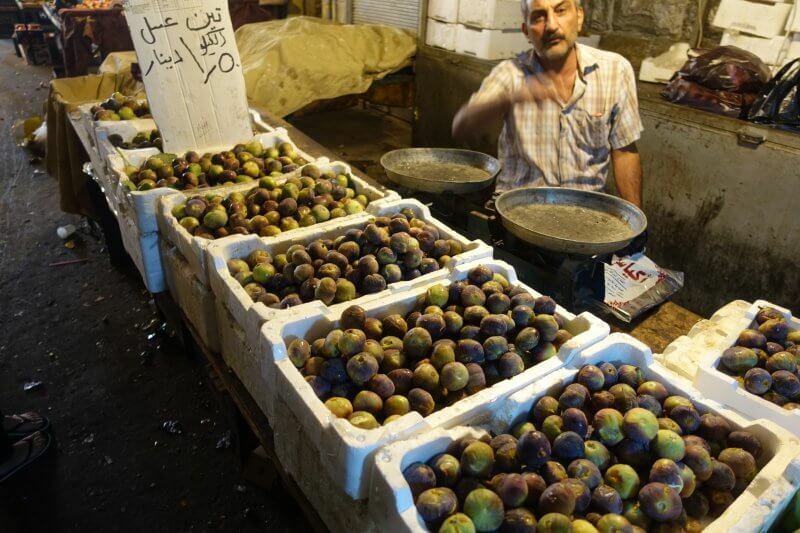 If you love local markets, you’d love this. 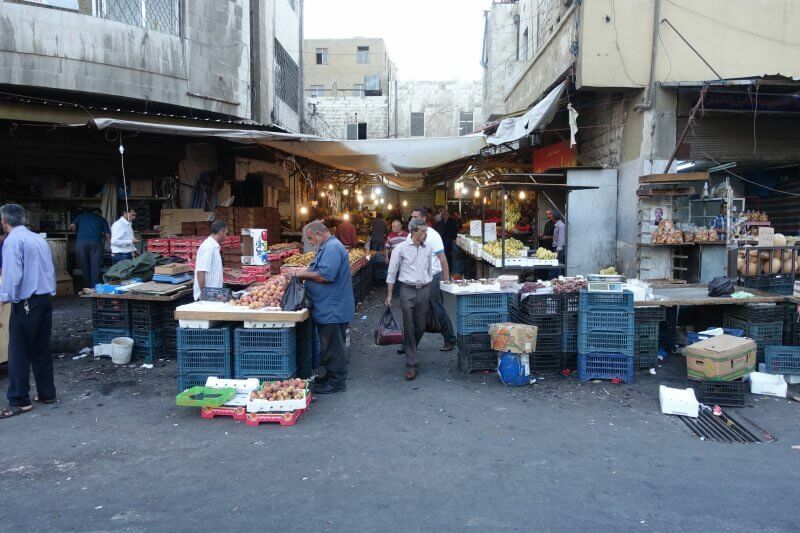 There are many markets in area around the mosque, approximate south of Amman city center, that seem to be alive from dawn to dusk (and into the night), filled with local flavour. Here’s just a teaser of it. One of the markets, from the outside. 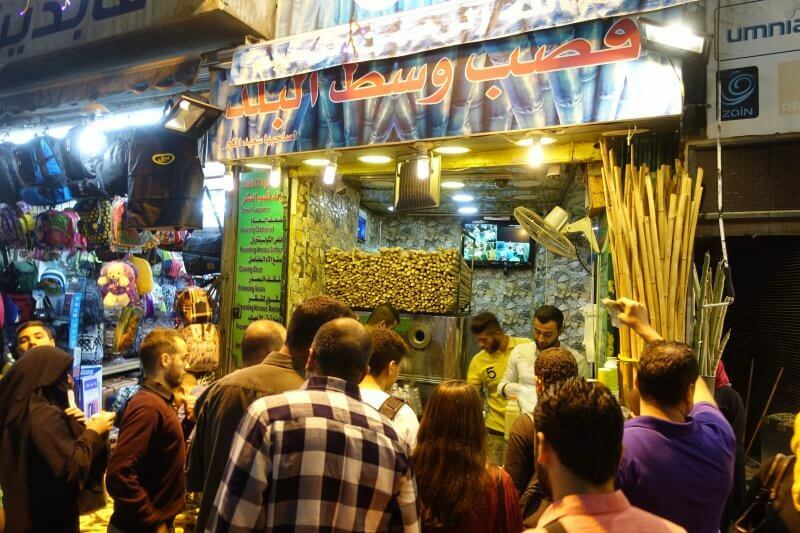 If the previous night was any indication, there’s much to experience in Downtown Amman by night! The below are shots from a few different nights but you get the idea. Sugarcane seems to be really popular here, and at 0.5 JD, relatively affordable too. Sugarcane juice (0.5 JD) tastes kinda different from what I get in Southeast Asia (I think they add something different to it), but quenches thirst all the same. Wasn’t aware of this long list of medical benefits though. 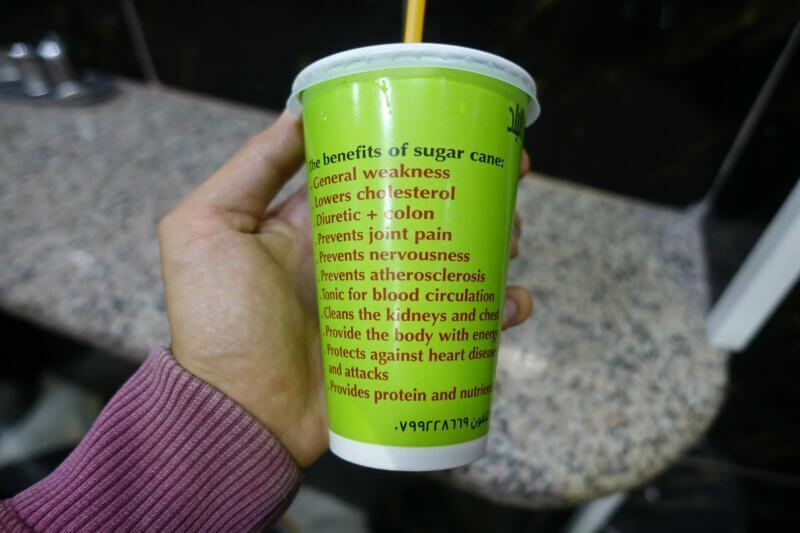 Medical benefits of sugarcane juice? 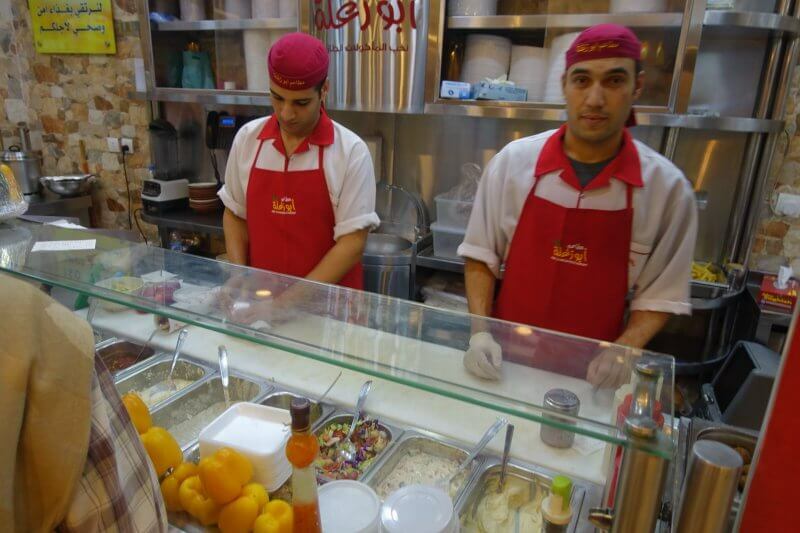 Another hotspot along King Faisal Street, Habibah Sweets, for Kunafa! 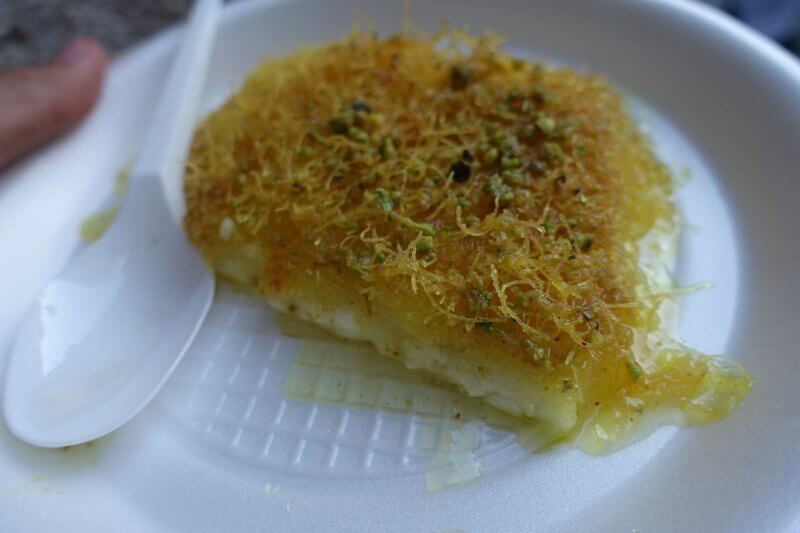 Kunafa (Kanafeh/ Knafeh) is a cheese pastry drenched in sugary syrup. Many people were in the queue at Habibah, and lots more just outside the shop enjoying kunafa fresh, right after getting their hands on it. I couldn’t resist. A small portion (0.7 JD) should be sufficient as it is really, really sweet. You can also get a range of freshly prepared desserts here. You have to try this! 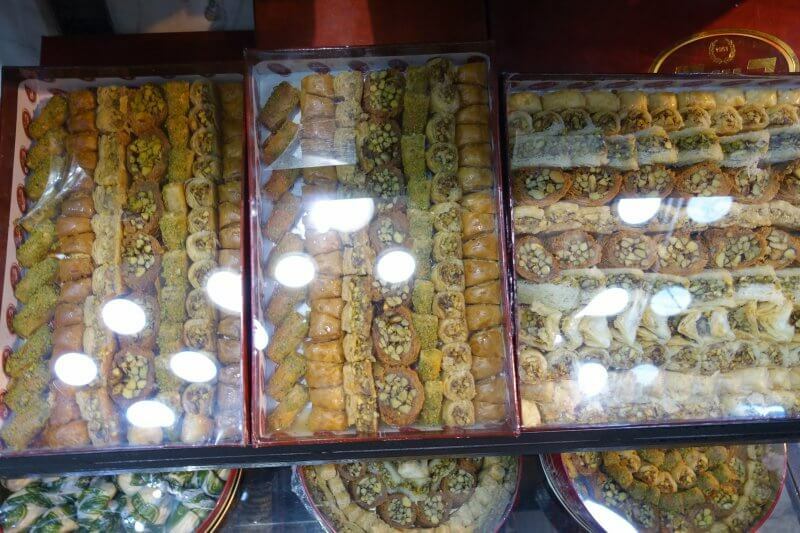 Kunafa (0.7 JD), Habibah Sweets. 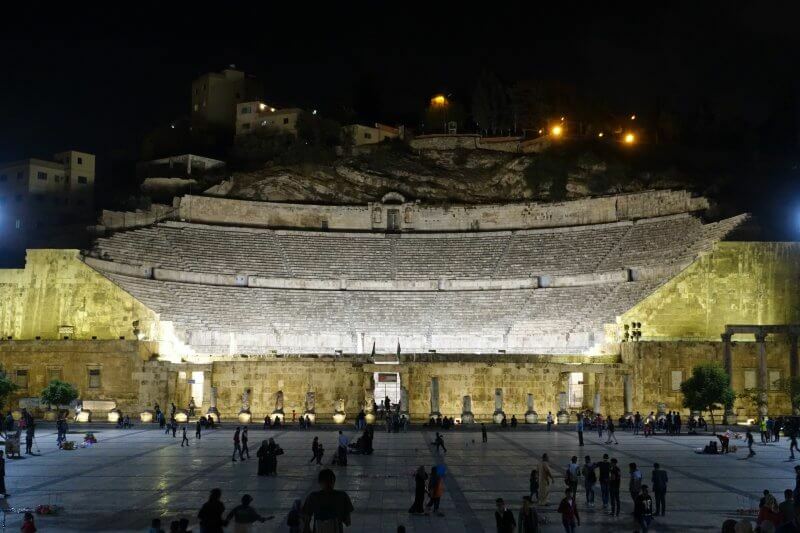 While the Roman Theatre/ Amphitheatre is closed at night, it remains lighted and is quite a sight. 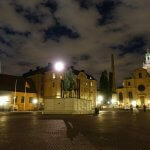 The square in front of it is open to public and is a hive of activity at night. I’m not sure if it goes on every night so it might be a good idea to check with your accommodation when’s a good time to join in the fun! Here you’ll see locals rollerblading, enjoy shisha or hot tea or just one another’s company. The Roman Theatre at night. 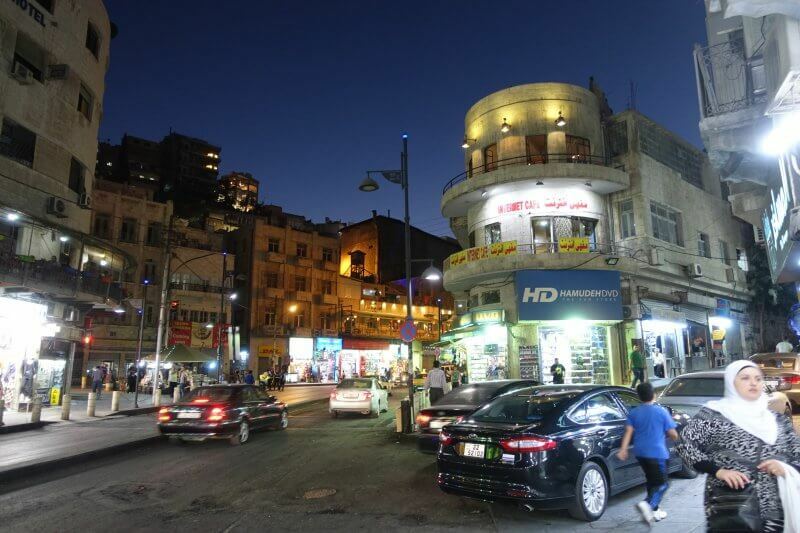 On one of the nights I was just hanging around King Faisal Street with a couple of tourists from the hostel when a professor from the university nearby and his student started talking to us and before we knew it they were bringing us around on a visit around downtown Amman. 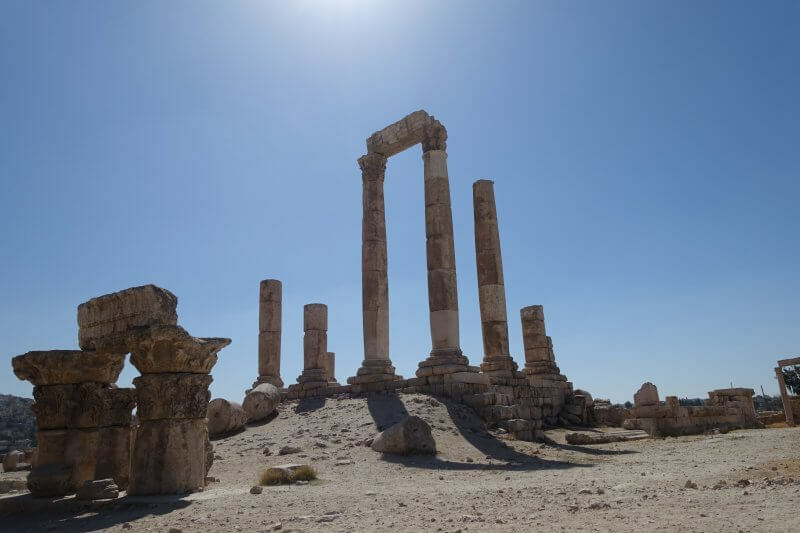 Having lived in Amman for such a long time, the professor seemed to know someone around every corner we passed, from the jewellery store owner to the man selling peanuts on a pushcart. As you might have read elsewhere, Jordanians are really warm and friendly, and I’m glad to have made some friends that night. Though I wouldn’t discount putting up your guard in Jordan as there are some not so nice Jordanians nonetheless. Anyway, here are some of the places we visited with the awesome professor and his student. Twisted round many corners to find this falafel place. We got our falafel and were enjoying it by the roadside, when another local asked if he could share the bench. He sat down and asked if we wanted to share his doughnuts and suddenly our party got bigger. After lots of sugar and banter we got back to exploring again. 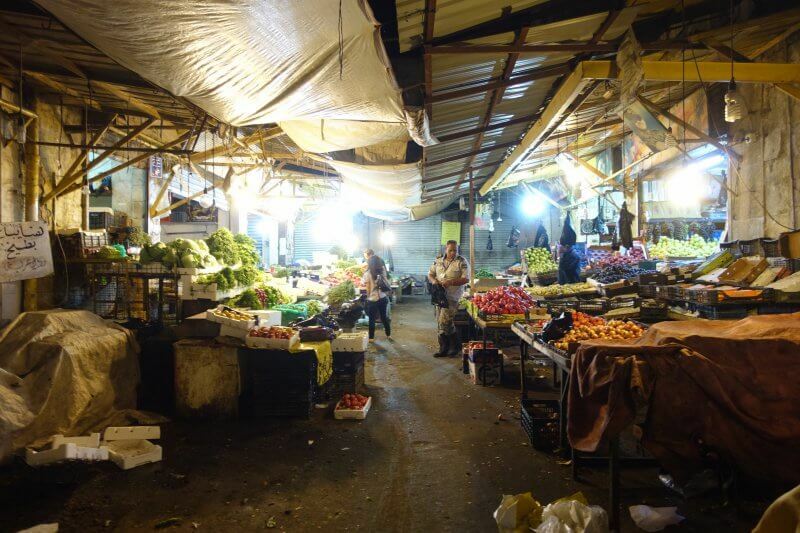 Back at the market where I briefly passed during the day, I was surprised to find stalls still open late in the night. They didn’t appear to be closing anytime soon so I guess you’d be good for some night shopping. Not a clue as to what this is. Fruits and vegetables without the daytime crowds. The last stop of the night, another branch of Habibah Sweets, to get some souvenirs. Traditional sweets in all shapes and sizes and packaging, perfect for souvenirs. 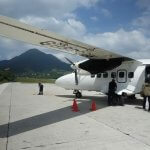 Unexpected local guides always count for memorable experiences, and I do hope I get to repay the favour in future. 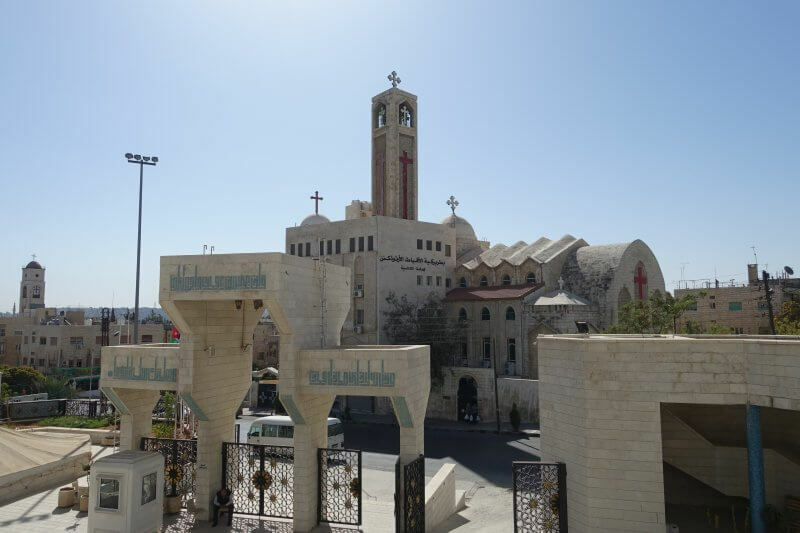 Day 1 had been a busy day but there are a couple more highlights in Amman that you should not miss, and these fit nicely into day 2. Time to explore! 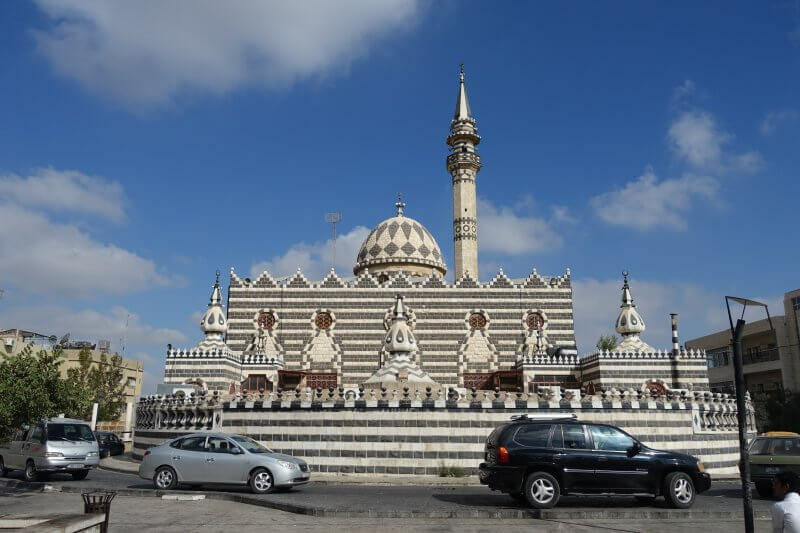 King Abdullah I Mosque is one of the few (if not only) mosques in Amman that is open to non-muslim tourists. The mosque slightly beyond the city center (~1-2JD for a taxi ride from the city center), and full length dresses are available for tourists to cover themselves up before entering in mosque. Inside the mosque, apart from the visiting the huge prayer hall topped with a magnificent blue dome, there is also a small exhibition of ancient artefacts and models of major mosques in Jordan. Admission is free and it is a good idea to avoid visiting on Fridays especially during prayer time. 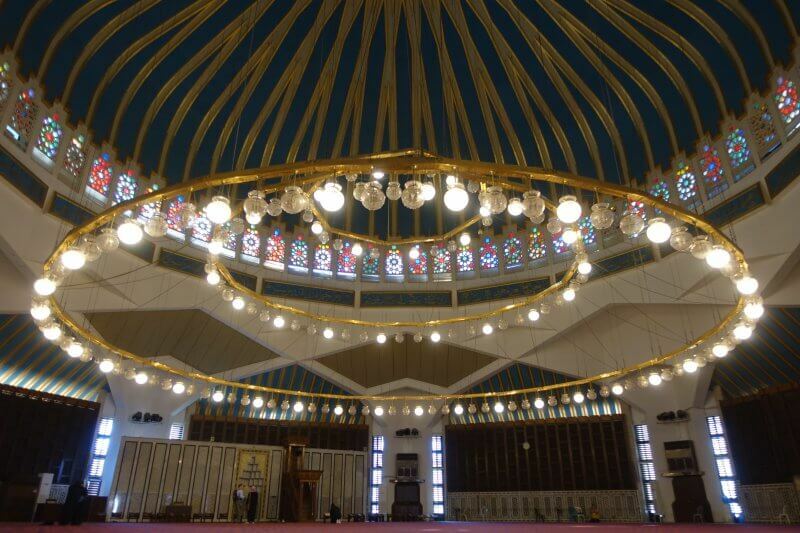 The blue dome of King Abdullah I Mosque. The Coptic Orthodox Patriarchate across the street from the mosque. 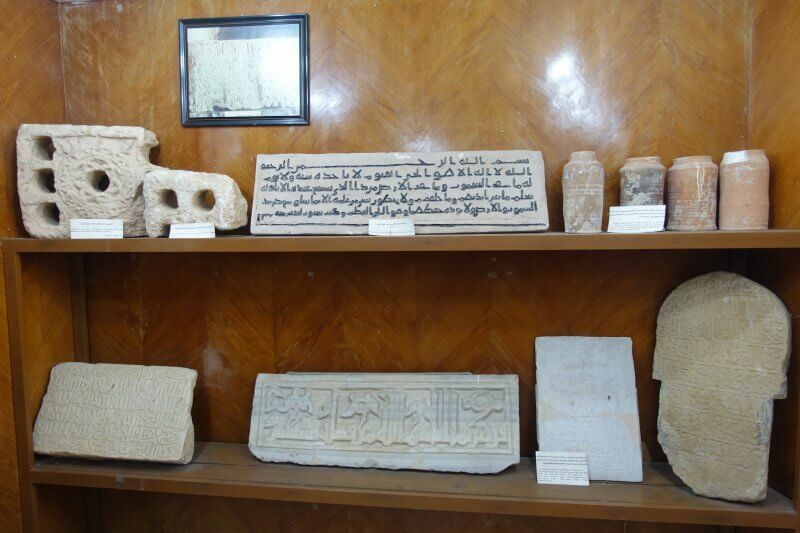 Part of the small exhibition showcasing a variety of ancient artefacts, all of which I had no idea what they were. 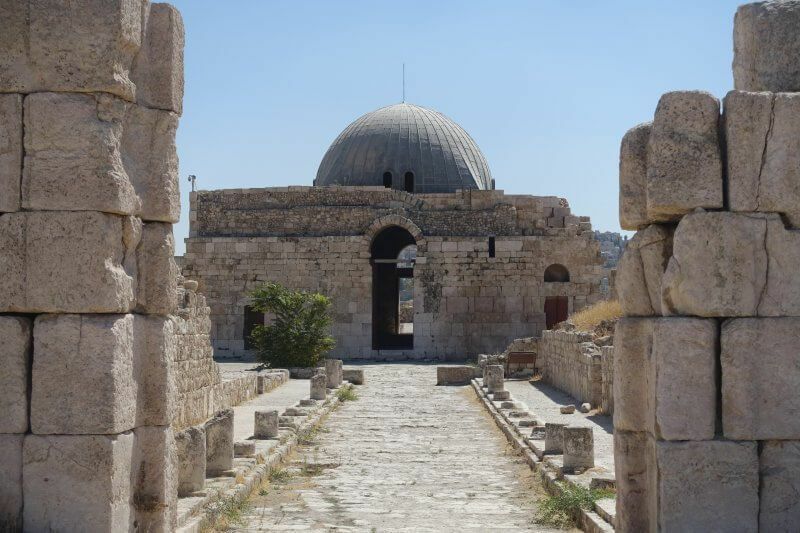 Perhaps the most iconic mosque in Amman is the Abu Darwish Mosque, with its black and white facade occasionally featured on tourism posters of Amman, alongside highlights such as the Citadel and Roman theatre. 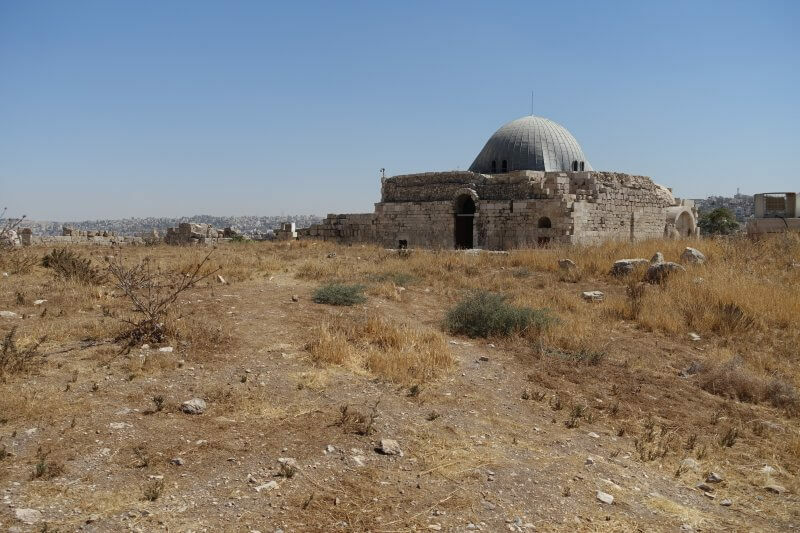 Getting there is slightly tricky, as Abu Darwish Mosque is situated on top of one of the hills of Amman. 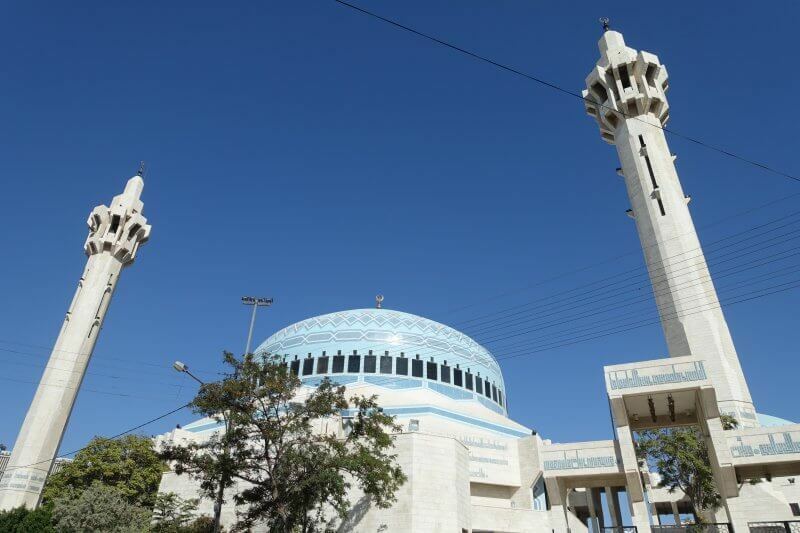 It is approximately a 1.2km walk uphill (150m gain) through Amman’s neighbourhoods from the Grand Al-Hussieni Mosque. Alternatively, I was informed that you can share a ride with others for 0.5JD from the Italian Hospital (behind the Grand Al-Hussieni Mosque) to get up the hill. 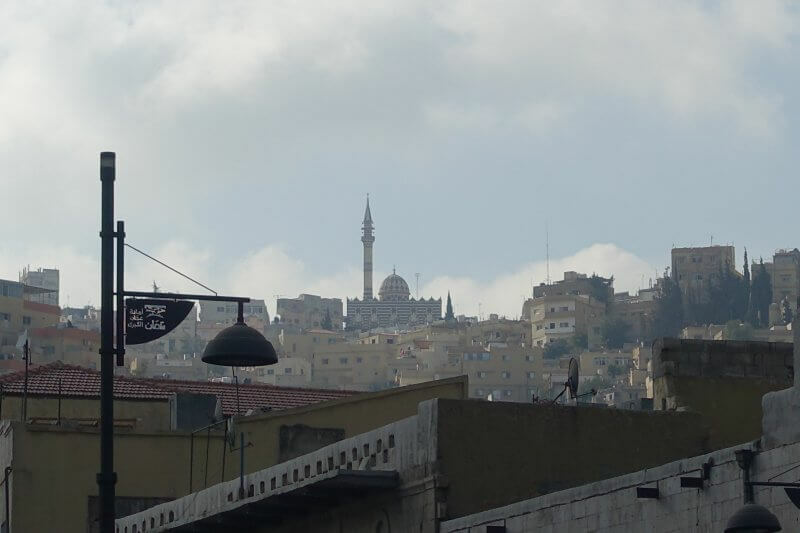 Abu Darwish Mosque, from Amman city center. Seeing the beautiful mosque up close makes all that effort worth it. Jordanian hospitality hit again as I was admiring the mosque from the outside. A man passing by asked if I was interested to get a better view of the mosque. 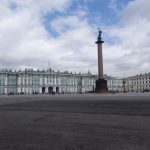 Naturally I was apprehensive, but as he gestured me towards what seemed like a government building, I thought I might be able to take the chance. Turns out the building was an arts and culture center, and the man was an art teacher there. He brought me to the library on the upper floor, where he asked around for some keys. And a better view it was, as he took me to the roof terrace of the building. I almost felt ashamed of being apprehensive of the art teacher when he first approached. Abu Darwish Mosque overlooking Amman, from the arts and cultural building opposite it. I’m not sure if the library is usually that open to tourists getting out to the roof top, but it may be worth asking about it! Especially since the mosque is not open to tourists. The art teacher then showed me some of the paintings done by him and his students, and invited me to sit in his class that Saturday. I wished I could have attended, but was unfortunately unable to. 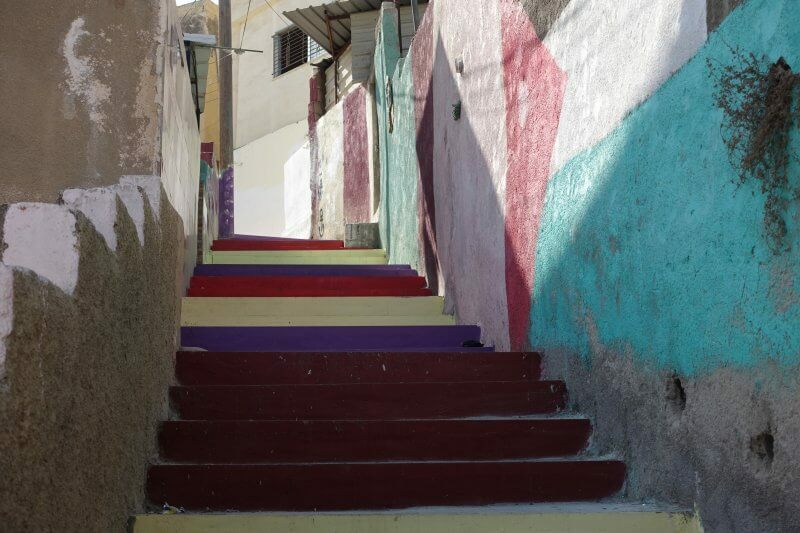 Before I left, he gave one more recommendation to check out some colourful painted stairs on the way out, and so I went in search of it. 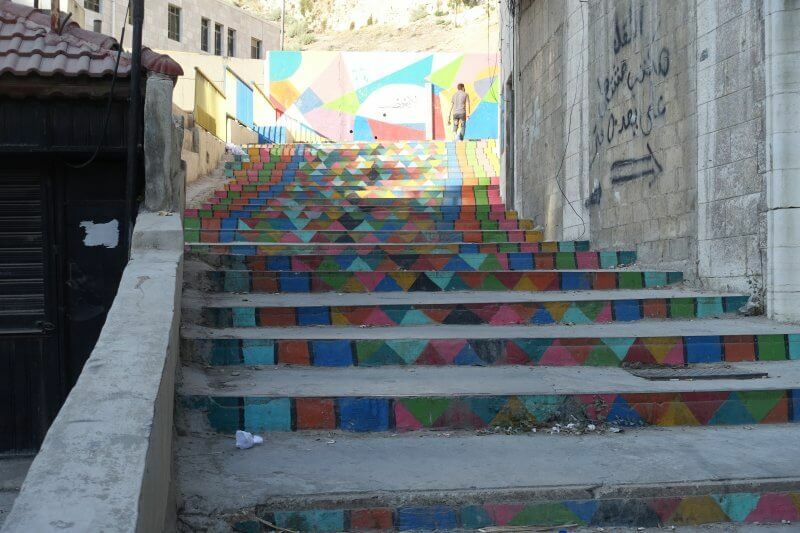 Colourful stairs in Amman, near Abu Darwish Mosque. 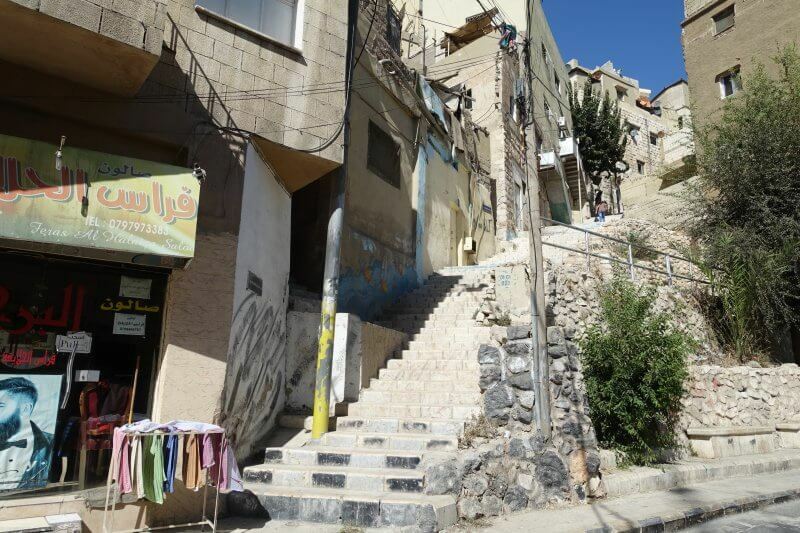 Amman, having its neighbourhoods covering the hills, has no shortage of stairs. 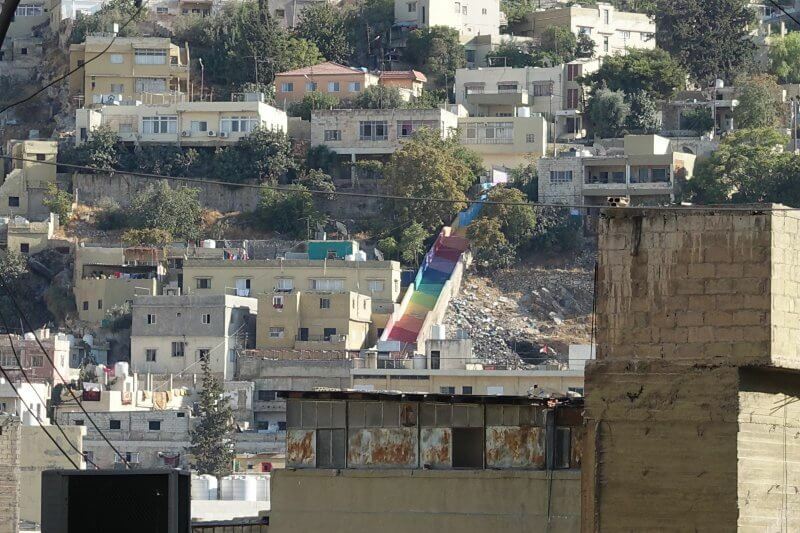 Residents in some areas have taken it upon themselves to turn these stairs into pieces of art. Most stairs aren’t decorated, but as I began to take note, I realised how many of these beautiful pieces of street art were around. More of them to come later! 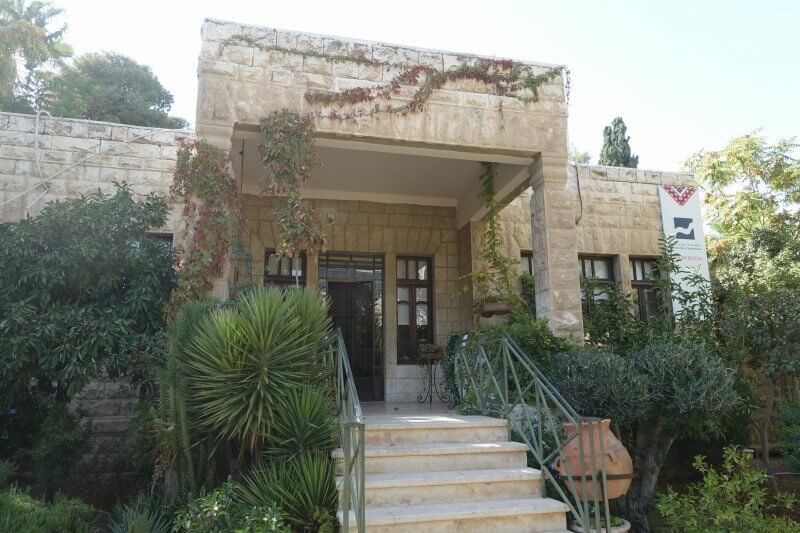 For now, all the way down the hill, through the neighbourhoods, to the next stop, the Jordan Museum. 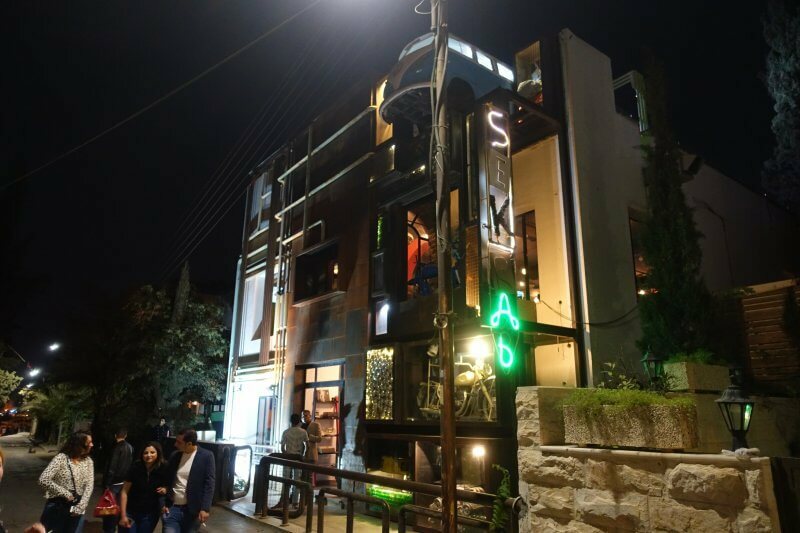 Down the cosy neighbourhoods of Amman. 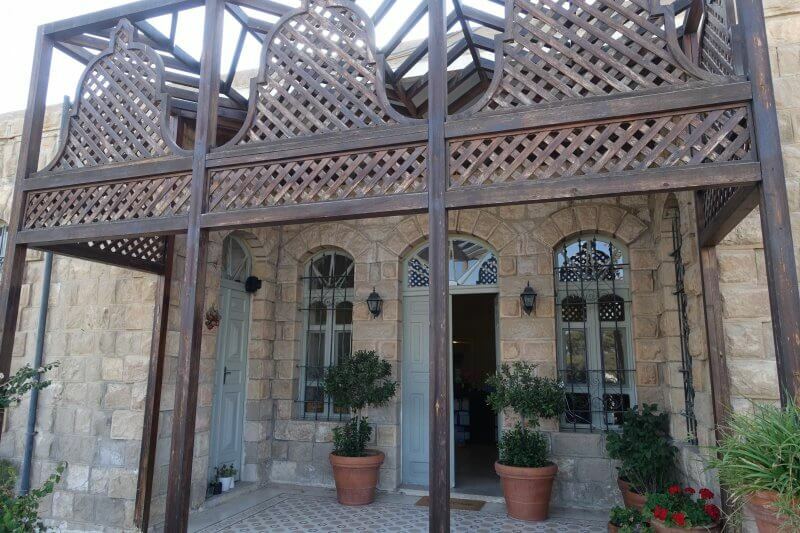 The Jordan Museum is approximately 1.6km/ 1mile away from Abu Darwish Mosque by foot. It is pretty much a downhill walk most of the way and should be quite manageable. 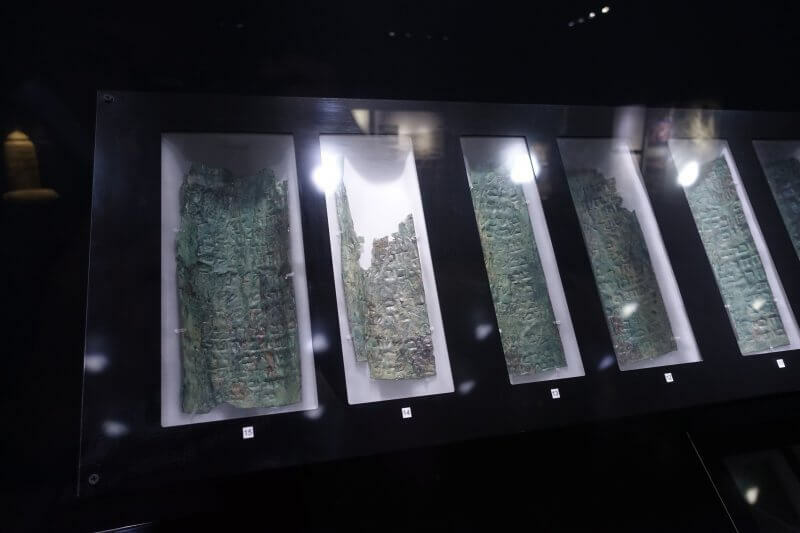 In the Jordan Museum, you’d find an amazing range of artefacts spanning almost 10,000 of years, a testament to the civilisations over millennia that had once existed in what is now modern day Jordan. And of course, don’t miss the Dead Sea Scrolls. 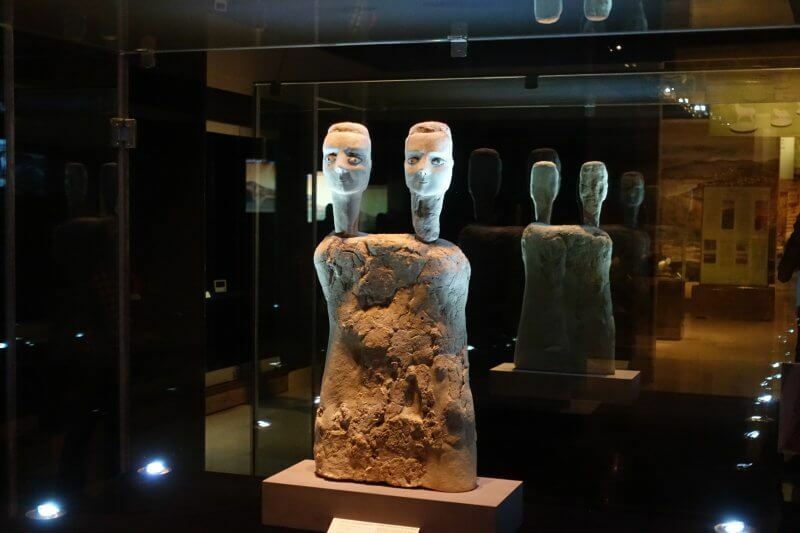 One of the Ain Ghazal neolithic statues dating back almost thousands of years. 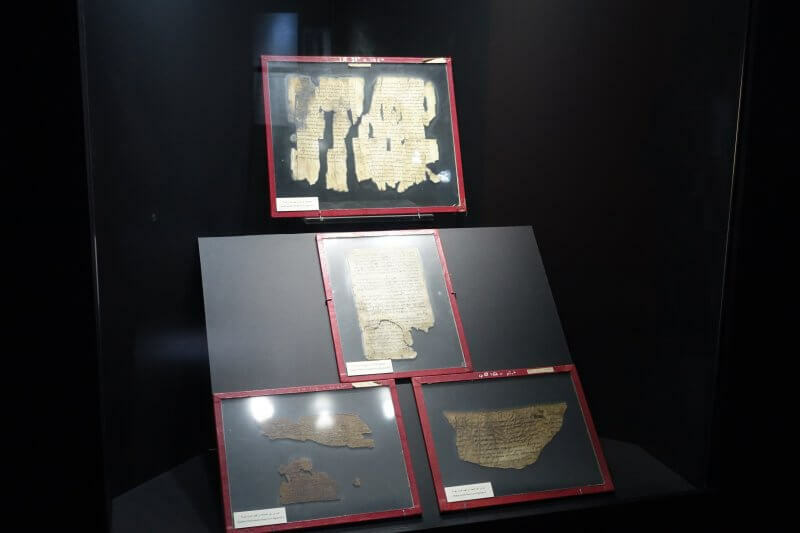 The Dead Sea Copper Scrolls. 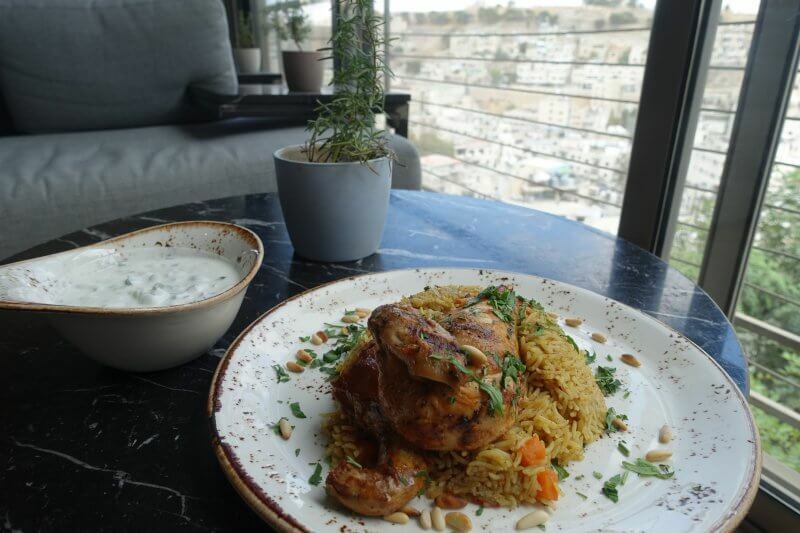 With most of the key historical facets of Amman explored, it’s time to check out a little of its modern side. For some hipster culture, cafes to chill in the afternoon, or bars to hang out at night, head down to Rainbow Street. Well this isn’t exactly on Rainbow Street but slightly off it, along Othman Ben Affan Street. The Wild Jordan Center is owned by the Royal Society for the Conservation of Nature, which manages nature reserves in Jordan. One of these reserves is Dana Biosphere Reserve, which I hiked in just before coming to Amman. 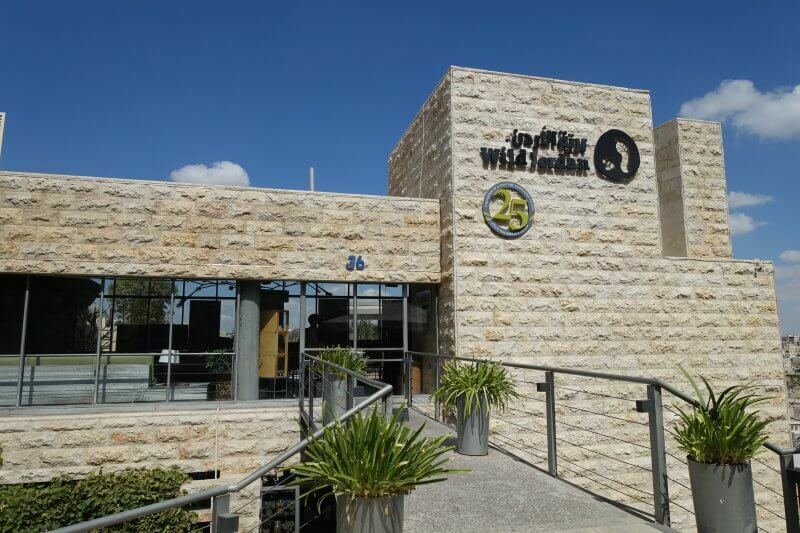 At the Wild Jordan Center, you’d be able to find out more about the ecotourism opportunities with Wild Jordan (not cheap), purchase souvenirs where proceeds go towards conservation efforts and helping local communities, or have a meal at the Wild Jordan Cafe, overlooking downtown Amman and the Citadel. 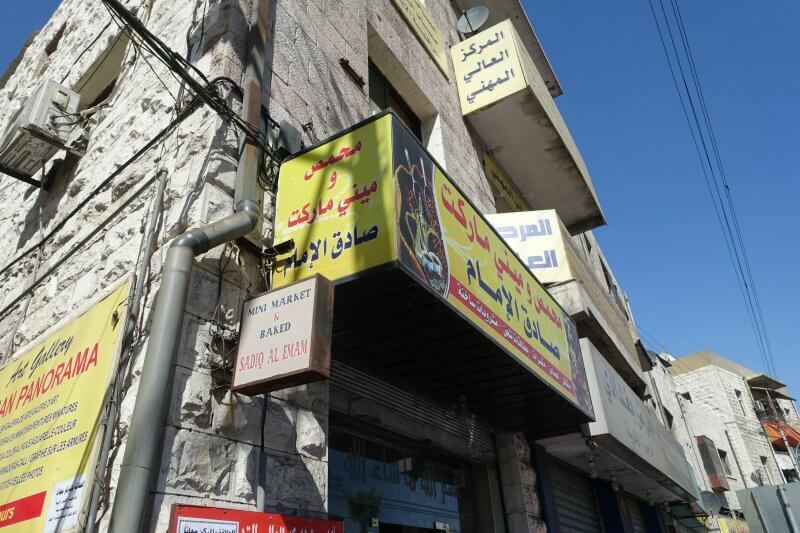 The Wild Jordan Center, at 36 Othman Ben Affan Street. 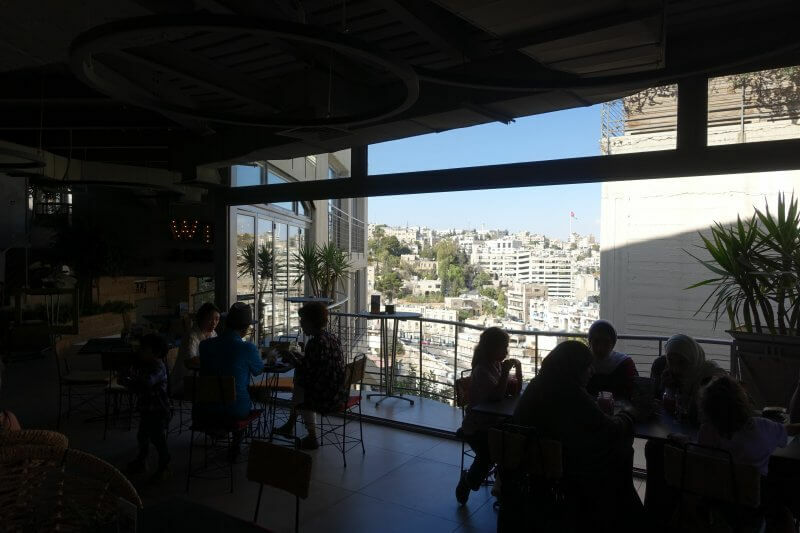 Had lunch at the Wild Jordan Cafe, overlooking downtown Amman, with the Citadel over at the next hill (foreigners oriented, not cheap too). Back on Rainbow Street, the Jordan River Foundation Showroom is another place where you can purchase local, handmade products and help local communities. The Jordan River Foundation is an NGO which focuses on child safety and community empowerment. 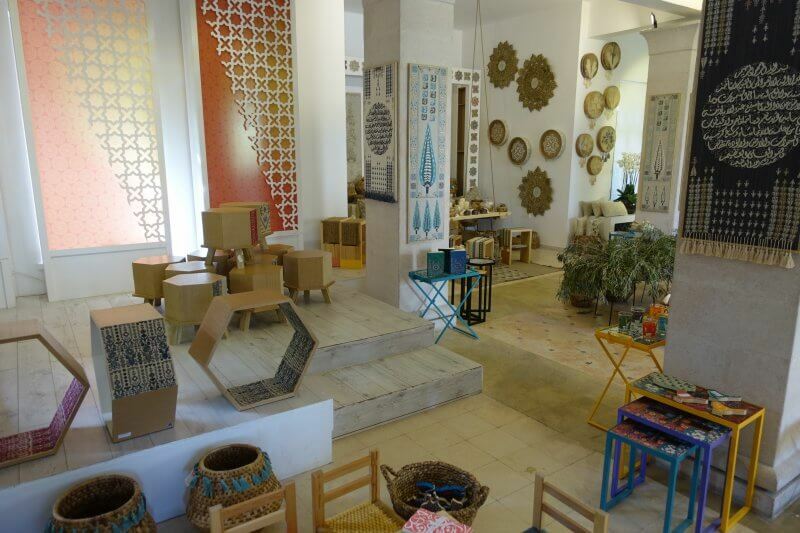 The showroom aims to help women seeking extra income while at the same time promoting local traditions and handicraft. Inside the Jordan River Foundation Showroom. Outside the Jordan River Foundation Showroom. Nearing the eastern end of Rainbow Street, taking a turn into one of the side streets will lead you to Trinitae, a boutique soap house. The soaps and health products sold at Trinitae are made using natural ingredients found throughout Jordan, from minerals from the Dead Sea to plants and herbs from the mountains of northern Jordan. I didn’t get anything here (expensive, naturally), but it was nonetheless it was an interesting place to visit. 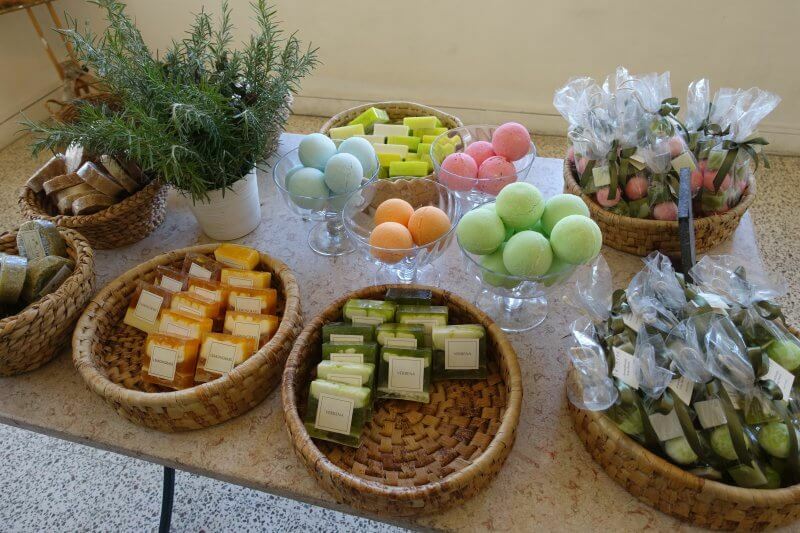 Some of the fragrant soaps on display. Pretty building for pretty soaps. There is more of Rainbow Street to experience, but mostly at night. 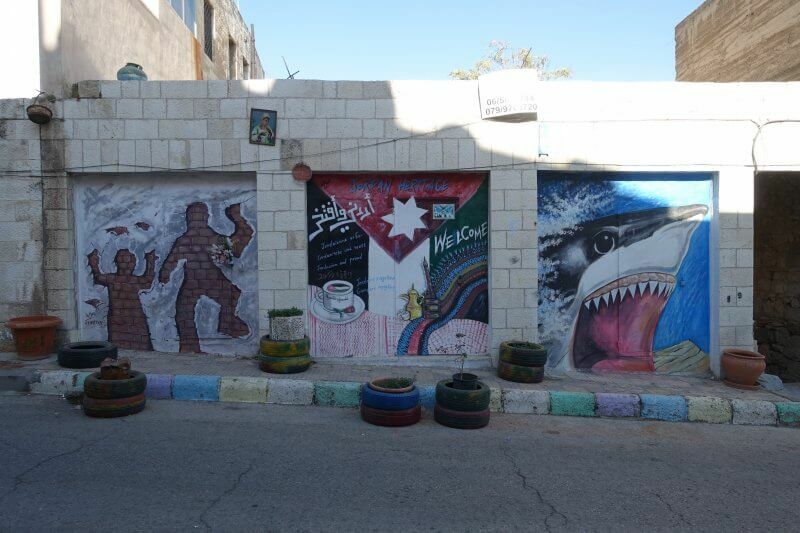 Meanwhile, I took the opportunity to explore some of the colourful sights along the streets of Amman. At the end of Rainbow Street. From the eastern end of Rainbow Street you’d be able to spot another rainbow. I didn’t get there though. Down the hill, around the Al Balad area (not far from Rainbow Street), the Al Shamasi Stairs next to Jafra Cafe is another pretty spot. This is definitely not the best photo, so check out the umbrella stairs and find your angle! 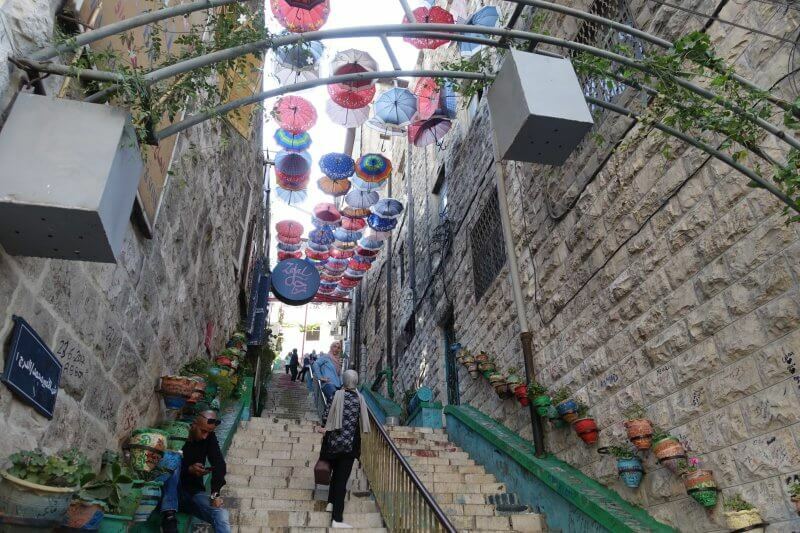 Umbrella stairs (Al Shamasi) at Al Balad. 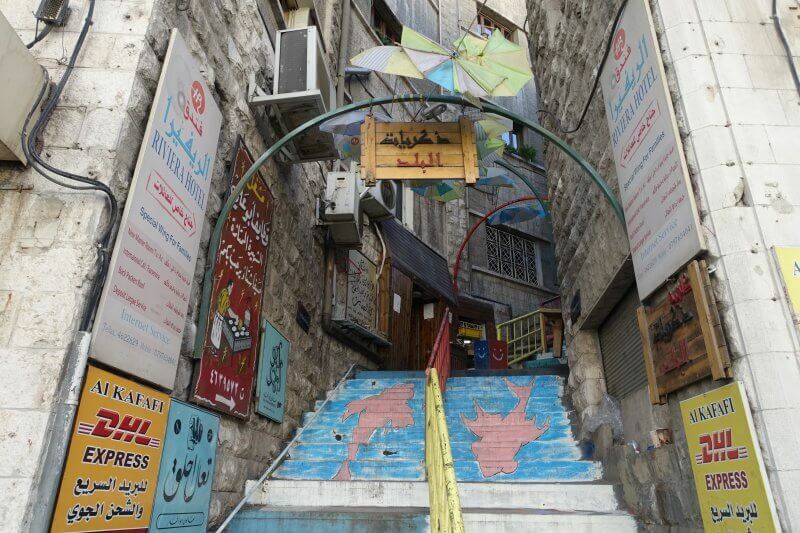 More interesting stairs, this one along King Hussein Street. And one last one, also along King Hussein Street (near the overpass). 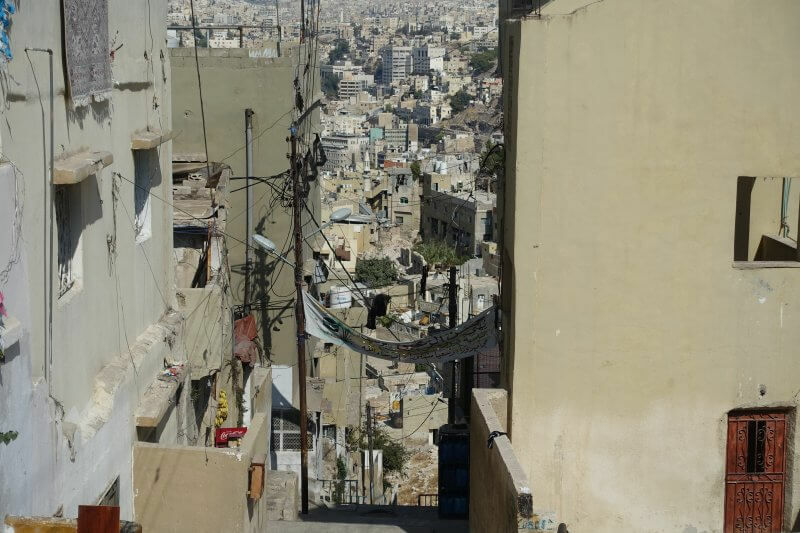 For a more in depth and colourful account of the beautiful streets of Amman, check out this blogpost by Becca from AlwaysCarryOn.com. Night falls and it’s time to get some dinner and drinks to round off a great trip to Amman! 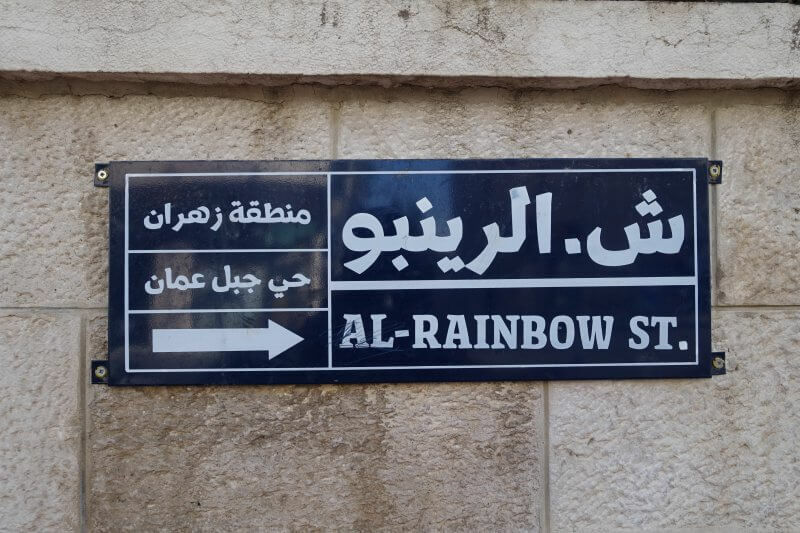 As mentioned earlier, Rainbow Street offers many options (as does the old city center around King Faysal Square). My newfound friends from the hostel eventually decided on Sekrab, on a quieter corner of Rainbow Street but no less funky, with a van sticking on from the building. Overall it was a decent place to get some food, drinks and shisha, but decor was certainly a highlight. Retro decor at Sekrab. 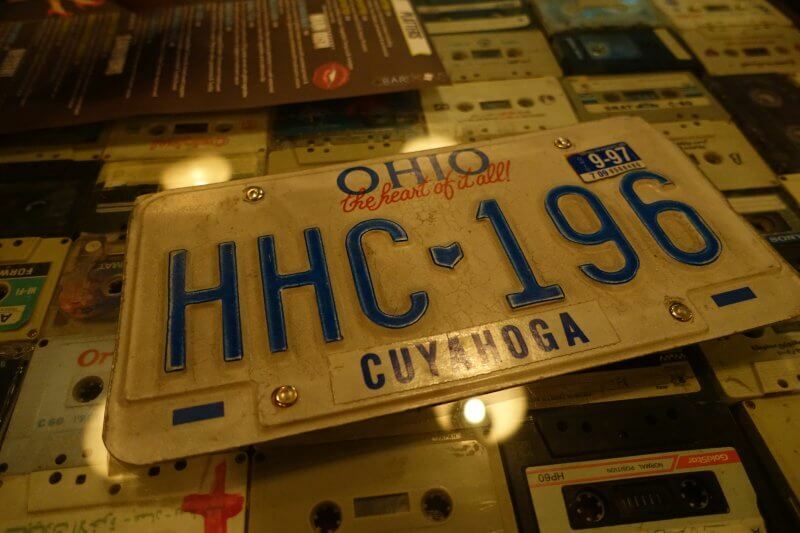 The menu was on the other side of the car plate. The party doesn’t have to end here, and looking further (or asking locals) brings more surprises. And that’s it from me for 2 days in Amman! 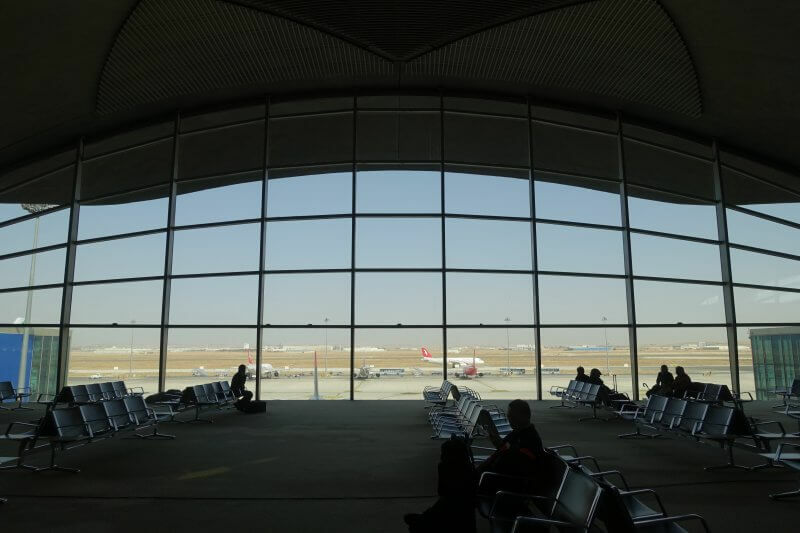 As a final bonus from Jordan, Queen Alia Airport was beautiful. I hadn’t noticed it when I arrived, being a little jet-lagged and super apprehensive on my first experience in the Middle East. Huge windows to admire the planes and the desert. Up next, a day trip to Jerash and Ajloun, which I sandwiched between days in Amman. Stay tuned for that! Yup I managed to find some of them, really enjoyed experiencing the rest through your post and beautiful pictures! 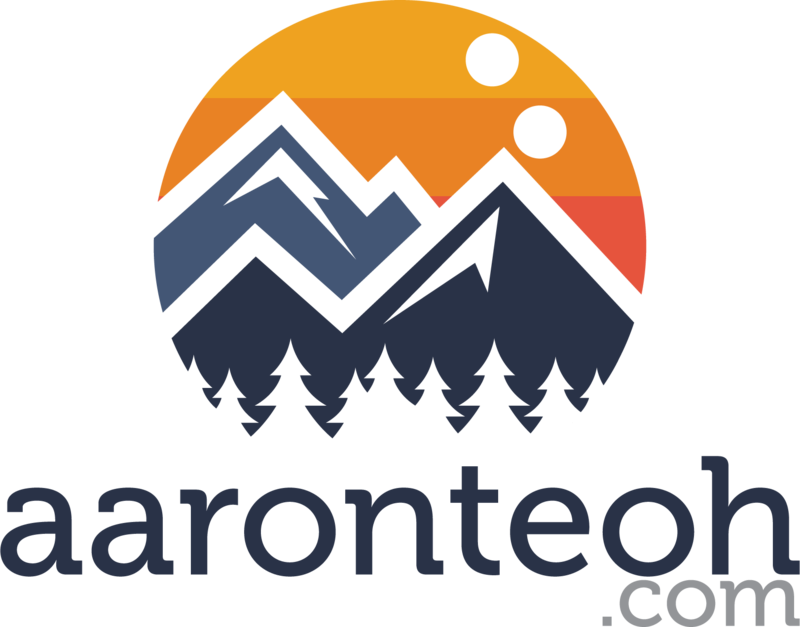 Thank you for sharing the detailed trip and tips very helpful, I am planning a trip to Amman and the tips would be very useful ! Thank you Vinita, have a great time in Amman! Thanks for the detailed write up. You gave me an idea as to what to see in Amman.